ReconcilingWorks has an amazing team of volunteer regional coordinators who are excited to accompany your faith community along its welcoming journey. If you have a question about what this process might look like for your community or about the Reconciling in Christ process, please email the volunteer regional coordinator in your area. If you are not sure which region to which you belong, please click the map to the right or give the central office of ReconcilingWorks a call at 651-665-0861. 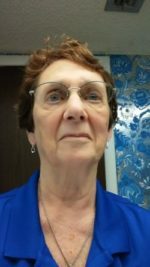 Mary Ann (she/her) is a recently retired early childhood educator and a life-long Lutheran. She lives in southwestern Washington in Wahkiakum county where there isn't a stop light in the whole county. She has been involved with ReconcilingWorks since when the Portland Metro Chapter formed. 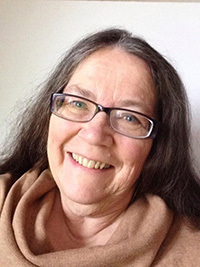 Mary Ann is active in Lower Columbia PFLAG and is a board member of the Southwestern Washington Synodical Women of the ELCA. She lives in Cathlamet, Washington with her husband Rick, and they attend Stella Lutheran Chapel in Longview, Washington. Her son and son-in-law were recently married and live in Seattle Washington. Her younger son lives in Oakland California. 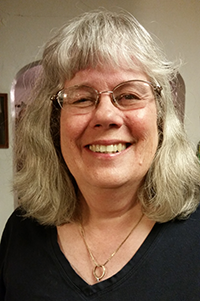 Mary Ann looks forward to sharing the RIC program in the Southwestern Washington Synod. (he/him) After 21 years of congregational ministry and 16 years of marriage, I came out as gay. I was shocked! While going through the divorce I relocated to Seattle where we had previously served in the Northwest and slowly began to bridge the gulf between my faith and my sexual orientation. It was at that time I was offered the opportunity to serve as the chaplain director for Open Door, a unique ministry of the Northwest Washington synod, helping to build bridges between the church and the LGBTQ community. Over the last 23 years the Northwest Washington synod has become RIC and there are 38 congregations that have reached the RIC Milestone and 5 that are on the journey. 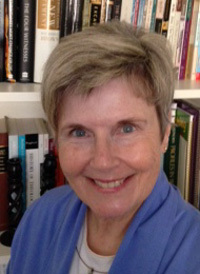 Elaine (She/her) is an ELCA pastor, having served as a parish pastor in Arizona and then as Assistant to the Bishop for Candidacy in the Grand Canyon Synod. Because the Church should be a truly welcoming place for all people, Elaine has felt called to share the inclusive message of Jesus throughout her life and ministry. A Kansas native and a former Missouri businesswoman, whom God called to public ministry later in life, Elaine lives with her husband Joe in Phoenix where they keep the airlines busy flying to Oklahoma City to see their beloved daughter, daughter-in-law, and grandchildren. Anita Larson Andres (she/her) grew up in rural Minnesota. Anita has also lived in California, Wyoming and finally in Nebraska for over 30 years. She is a member of Shepherd of the Hills (ELCA) in Omaha. Her lifelong concern for social justice issues pulled her to political involvement, anti-war and feminist issue organizations, LGBTQ ally support, and local church in-reach and outreach activities. Avoidance of God’s call only lasts so long. Anita is now serving in a part-time lay ministry capacity to a rural Nebraska church, in addition to new excitement serving as RC for Region 4. 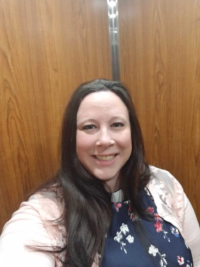 She is a Stephen Ministry Leader, has volunteered within the Nebraska Synod, supports Christian presence in the Tri Faith Initiative, and answers calls for assistance as needed in her church and local community. Retired for nine years from a 37 year career in telecommunications, Anita currently lives with her grandcat on a hill near Omaha. She has two adult daughters living in California and Newfoundland, providing perfect vacation destinations. (she, her) I am from the western suburbs of Chicago. I spent most of my life as National Account Sales Manager in a Foodservice company. I was raised a Catholic. In 2007 I found my new church home at Trinity Lutheran in Warrenville, IL an RIC community. I met my partner who was from Rock Island, IL. She and I moved to the Quad City and I started to look for a church home in that area. There were no RIC congregations! I found my calling. I want help congregations to open their hearts to the LBGTQ community, because someone out there is searching for God, for a community, a home, the same as I was. Merton (he/him) is a life-long Lutheran starting his activist gig in high school as President of his home church’s Luther League! 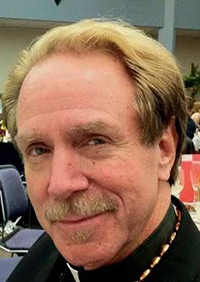 Recently retired from his professional materials management position for a hospice in Ann Arbor, MI his passion is for everyone to know there is a place for them here, in this place that is Christ’s church, this place we call Lutheran. His first contact with RIC was at Lord of Light Lutheran church and Campus Ministry in Ann Arbor, MI already a long term RIC congregation, where he learned anew about God’s welcome for all people, a place, he says, that changed his life forever. That led to involvement with Lutherans Concerned at the local Great Lakes chapter and as a Regional Director for LC/NA in the 1990s. 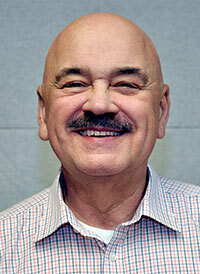 Currently he is a member of the SE Michigan Synod’s Diversity Task Force on Sexual Orientation and Gender Expression. He is passionate about RIC and excited about the work that still needs to be done, the widening and deepening of the welcome that RIC is, telling the truth that God’s love has no limits. Mert is thrilled to meet and walk with folks inviting everyone to join him as we journey together to this new place. Rev. Brenda Maynor (she/her) is an ELCA pastor, currently serving at Holy Trinity Lutheran Church in Buffalo, NY. While on internship at this congregation, she helped to lead the taskforce that worked towards assisting the congregation in realizing the importance of being a RIC congregation, and as a result, voted and approved to be named as a RIC congregation. Rev. 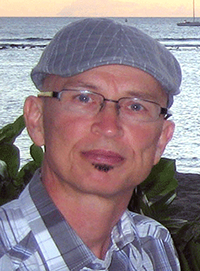 Maynor whole-heartedly believes that living out God’s mission in the world today is deeply relational. She believe that we have been created by God to be in relationship with God and one another, and one way we do this is by loving and caring for one another as God loves and cares for each one of us. That means to be welcoming and affirming to all those we encounter, to acknowledge and claim that we have all been created in God’s image and that we are all beloved children of God. Prior to attending seminary in Gettysburg, she worked as critical care nurse, helping to care for others in some of their darkest moments with dignity and respect. Scott Binde (he/him) was born and raised in rural North Dakota. He has long felt a call for social justice work, and after college went to Cameroon, Africa, to serve with the Peace Corps. Now Scott is a mathematical statistician for the Agricultural Marketing Service in Washington, DC. He first became involved with ReconcilingWorks through his local chapter fourth-Sunday worship service. Soon thereafter, he attended the assembly in Baltimore, Maryland, in 2002 and then became more active with the organization. Scott has been the Regional Coordinator for Region 8 since 2008 and has enjoyed fulfilling his call to help the church live up to its calling to love and care for all God’s children. 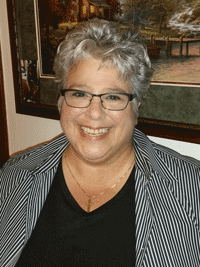 Carol M. Dunn (she/her) a retired educator originally from NYC, has been a Florida resident for more than 50 years. A Lutheran most of her life, she has been active in her congregation’s daily operation. Because of her passion for justice issues, especially Gospel Justice, she has belonged to ReconcilingWorks since the late 90’s. A member of St. Paul’s Lutheran, Clearwater, she is president of the RW Central Florida Chapter. Other interests include working with a small HIV/AIDS Service organization and volunteering for Habitat for Humanity, both locally and internationally. She has a daughter and two adult grandchildren.